Bee and Kate in the marketing department recently put the Begg & Co Wispy scarf to the test as they headed out on their travels. Kate hopped over the Atlantic to California earlier this month, she said; “The Wispy was ideal for traveling, so light and soft, it took up hardly any room in my hand luggage but once wrapped around my neck was incredibly warm – it’s perfect for keeping cosy during a flight”. Bee took her Wispy when she set out to explore South Africa – “I think I wore my Wispy for the whole trip, it is so fine and comfortable to wear– out of Safari on a morning drive it kept me warm until the sun came up- and later when the heat really started to build it kept the sun off my shoulders without making me too hot – it’s amazingly light”. The Wispy is ultra-lightweight and made to the finest quality from 100% 14.7 micron white cashmere from goats in the Alashan region of Inner Mongolia. 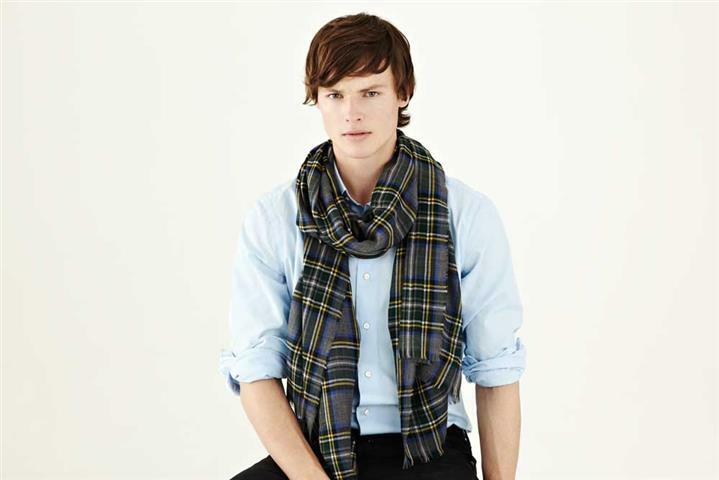 One scarf alone contains as many as 8 kilometers of cashmere yarn! 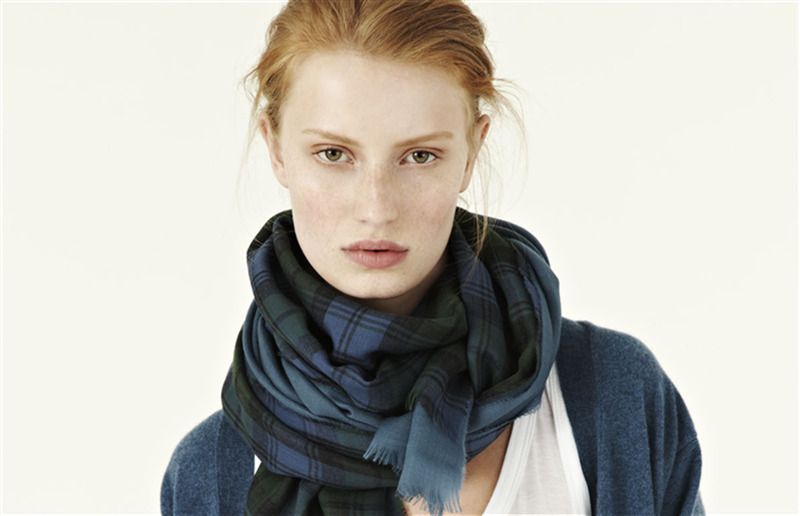 The beautifully soft and fine cashmere scarfs come in original print designs and delicate weave patterns, as well as traditional Scottish tartans and simple plain colors… so there is something to suit everyone. 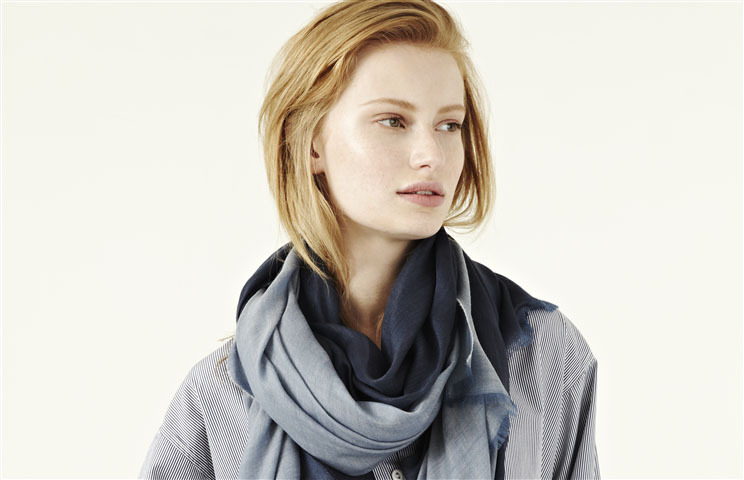 Begg & Co handcrafts a large range of exquisite scarves, stoles and blankets from the finest cashmere, silk and lambswool angora yarns. They have been made in Ayr on Scotland’s west coast since 1866. The production process uses time-honoured traditional weaving and finishing methods with cutting-edge production techniques and over sixty skilled craftspeople are now employed in the factory including the very best spinners, dyers and weavers. 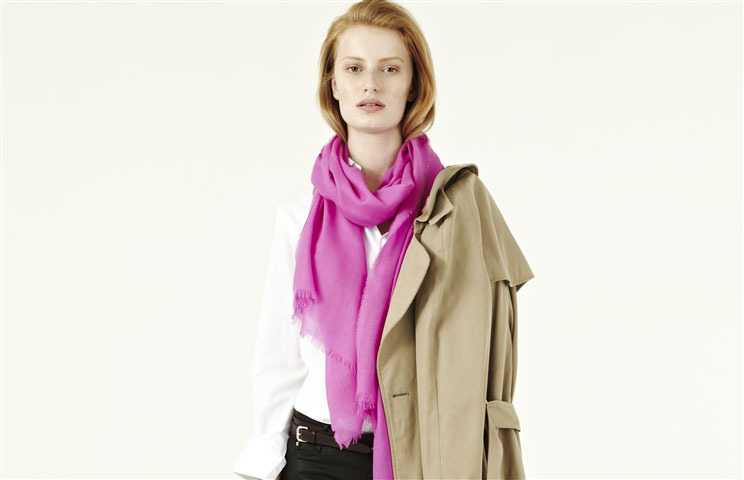 In autumn of 2013 Begg & Co welcomed two design consultants – Angela Bell of Queene & Belle, a cashmere specialist based in Hawick, Scotland’s cashmere capital, and Michael Drake and his design agency, Man Drake. Michael is a long established and celebrated designer of men’s accessories. The result of this design collaboration is the launch two seasonal collections that are available online at www.beggandcompany.com.